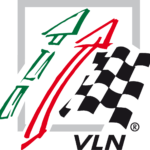 The VLN Endurance Championship at the Nürburgring has existed since the year 1977 and it takes place on the Nürburgring-Nordschleife course. The popular sports racing series was known as the Endurance Cup until 2000. Drivers with respectively different types of cars compete in various classes – from common passenger cars to fully developed race cars. Depending on the event, the times of the races vary between 4 and 6 hours. During the competitions, there are more than 170 vehicles on the course – but drivers usually take turns. Find more information about all dates of the current season here. In addition, you will get the exclusive GetSpeed VIP Tickets. for lounge no. 11 from us. No matching events listed under GetSpeed. Please try viewing the full calendar for a complete list of events.